1.1 What Is An Essential Oil? 1.2 How Do You Get Essential Oils? 1.4 What Is A Carrier Oil? These days, it seems that so many people are turning to natural products for health and just about everything – just to get away from the chemicals. This 10 Best Essential Oils For Hair Growth 2018 list is meant to help you delve a little more into learning about essential oils and how they can benefit your hair growth. Let’s get started! So, in other words, an essential oil is really just the purest extract from the plant – the true essence of the plant. The best of the plant without any fibre, per se. Using essential oils for hair growth is nothing new, people have been using essential oils for hair care, skin care, as well as internal medicines for ages. And I am sure once you start looking at the list of 10 Best Essential Oils For Hair Growth 2018, you will realize that you may know one or two! You can read a little more about methods of distillation in this article I wrote, HERE. You only need a few drops of an essential oil – mix one or more scents in a shampoo or conditioner and use it in your hair care regimen. Or, alternatively, you can mix the drops into 2 ounces of a “carrier” oil, such as olive or jojoba. Experts suggest these combos, depending on your desired outcome. If you apply some essential oils directly to your scalp, they may cause irritation. Diluting them is the best way to include them in your hair care regimen. Read label instructions concerning usage and try not to be over-zealous and never use them in higher-than-recommended amounts. As with any essential oil as well as those on this 10 Best Essential Oils For Hair Growth 2018 list, please check with your medical advisor before any application on your skin, hair or internally. A carrier oil is just as its name suggests – an oil used to dilute the strength of the essential oil. It makes it easier to use on the more sensitive areas of your body. 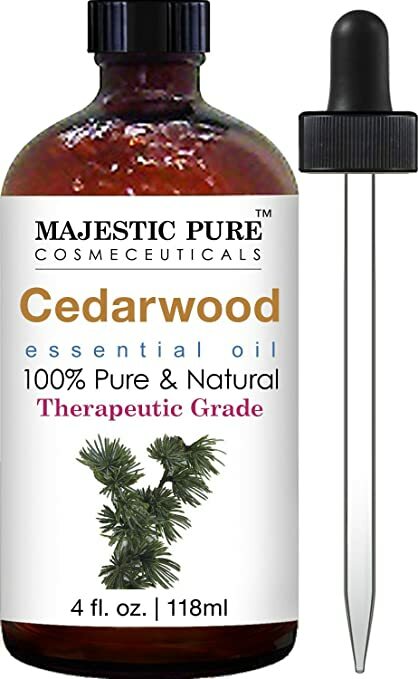 Because certain essential oils tend to be very powerful oils, it is best used with a carrier oil. Now, this does in no way reduce the effectiveness of the oil, so this is something you should not worry about. You can use any of these oils when mixing and combine the essential oil for your hair or skin care. It is important to be aware of the ratio. For some essential oils, the ratio can be 1:1 or maybe 1:2, depending on the purpose for which it is being used. Please seek the advice of an aromatherapist or an alternative medical practitioner. Let’s now look at 10 Best Essential Oils For Hair Growth 2018 and see if there is something there for you! To use lavender essential oil for hair growth, combine 8-10 drops, 4 tsp of your choice of carrier oil. Massage your scalp with the mixture. Leave it on your scalp for about 30 minutes or even overnight after covering with a plastic cap. Cleanse or simply rinse in the morning and style as usual. Do this at least once a week for a few weeks to see results. A word of caution – this essential oil is not to be used by pregnant women or sufferers from epilepsy. Using rosemary essential oil for hair growth, warm up 3 tsp olive oil, add 10 drops of the rosemary essential oil and then massage your scalp. Cover your hair with a plastic cap and then a warm towel to further insulate the heat. Keep covered for about 30 minutes. Then cleanse as usual. You can do this once or twice a month for a few months to see results. 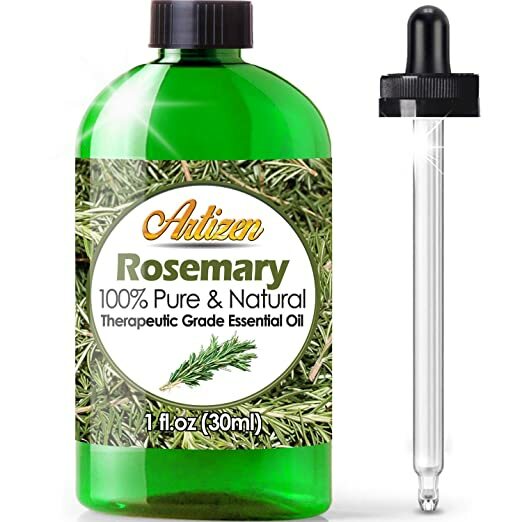 can be combined with lavender or rosemary to promote healthy hair growth. Combine 10 drops basil essential oil with 5 drops lavender essential oil and mix with 4 tsp coconut oil. Massage into the scalp, cover with a plastic cap for about 30minutes or overnight. Rinse and style as usual. You can do this once a week to see results. Combine 4 drops cedarwood essential oil, 3 drops of lavender essential oil, 3 drops rosemary, 3 drops thyme and 4ounces coconut oil. Mix well. Use to massage the scalp and leave on for about 30 minutes or overnight. Store the remaining mixture in a clean dark-coloured bottle in a dark cupboard. Use at least once a week. You can add the essential oil to your shampoo as well before washing – about 5 drops to 1 tbsp shampoo. This is also another very potent oil so be careful in using it. Combine 2 drops thyme essential oil, 5 drops lavender essential oil, 2 tbsp olive oil and massage the scalp. Keep for 20-30 minutes and then continue with your hair regimen. 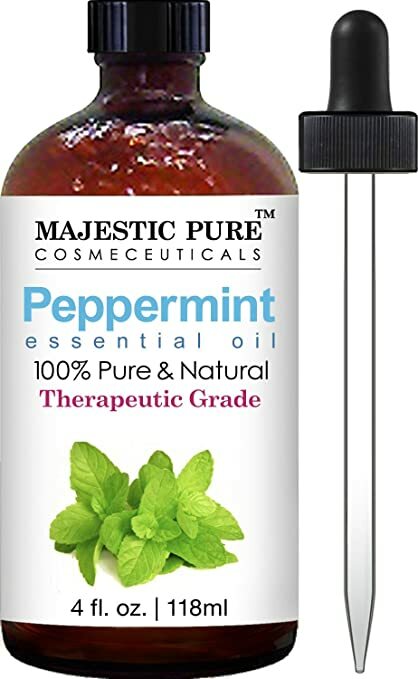 Because peppermint is a strong oil, it can cause skin irritation so it is suggested to do a patch test first. Combine 5 drops peppermint essential oil, 5 drops lavender essential oil, and mix with 2 tbsp coconut oil. Massage into the scalp and keep for about 30 mins or overnight. Cleanse and follow your hair regimen. Use once a week to see results. 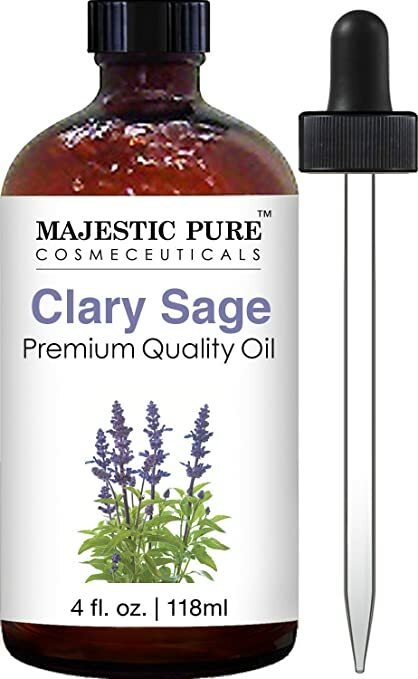 Using clary sage, another thing to be aware of is that it should be avoided by pregnant women as it can induce contractions. It also helps to control curly and frizzy hair. Combine 10 drops clary sage essential oil to 2 tbsp coconut oil and massage into scalp, then ensure that it is distributed throughout the hair. This will be a great help to people with dry, frizzy hair. You do not have to rinse it out. For hair growth, combine equal parts of clary sage and coconut oil or jojoba and allow to remain on your hair for 30 minutes or overnight, then cleanse as usual. Try to do this at least once a month to see results. helps to balance the oil production on the scalp. Another word of caution, lemon is phototoxic, so avoid using it on your skin if you will be spending any long amount of time in the sun. Mix 5-6 drops of lemon essential oil and 2 tbsp jojoba essential oil. Massage into the scalp. Let it remain on your hair for at least one hour before washing it out. You can also, mix it with some tepid water and use it as a final rinse for your hair. It will leave your hair feeling soft to the touch. Tea tree essential oil is also a very strong oil, and a patch test is suggested before using. Combine 2-3 drops of tea tree essential oil to 2 tbsp sweet almond oil and massage into the scalp. Leave for 30 mins and then follow your hair routine. For the treatment of dandruff or acne, simply add 4-5 drops to your shampoo or buy tea tree oil infused hair products. 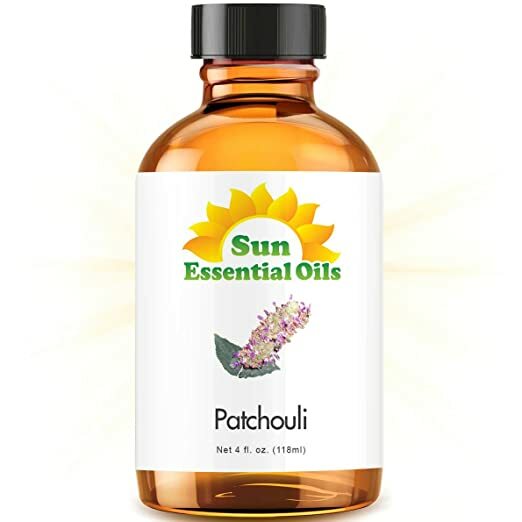 Mix together 2-3 drops of patchouli essential oil, 5-6 drops of rosemary essential oil, and 2 tbsp argan oil. Massage into the scalp and allow the mixture to stay for at least one hour, then follow your usual hair care routine. You can follow-up with an apple cider vinegar rinse or a lemon essential oil rinse if you find the aroma too strong. As you can see, using essential oils in your hair regimen is a wonderful thing – as long as you remember to dilute the concentration of the oil with a base carrier. There will be results, of course, the most important thing being consistency – you have to make that commitment to yourself to ‘follow through’ and give Mother Nature time to ‘do her thing’! You can mix one or two or even more essential oils together from this 10 Best Essential Oils For Hair Growth 2018 list and create your own unique blend. The key is to allow the mixture to remain on the scalp for some time, at least 20 – 30 minutes in order to be effective. The longer, the better as your time permits. You can use the essential oil blends on freshly washed hair as well and simply do an apple cider vinegar rinse afterwards. I would love to hear your feedback or any recommendations that you might have. I also hope that this 10 Best Essential Oils For Hair Growth 2018 has been a source of information for you. Have a healthy hair journey. Would you like to learn how to post on a blog like this one? Once you learn how to build your own blog you get to choose the things that you write about. You can also use the blog to make extra income. Here is where I learned how to build my own blog and connect with people who helped me along the way. Images courtesy Amazon and Pixabay. In this article “10 Best Essential Oils For Hair Growth 2018”, You are addressing very important challenge people facing in their life and your website is very helpful. Thanks for the recommendation of the essential oils very helpful. Thanks for visiting. I am happy that this information has been useful to you. Yes, I love essential oils and what they can do the body – your skin, your internal health, your hair, just about everywhere. Of course, like everything, everything in moderation is always recommended. This is a fantastic article on 10 Best Essential Oils For Hair Growth 2018. You have given interesting information about essential oils and how to use them and the carrier oil. I definitely will be using your information and mix up a great hair conditioner. Yes, I use apple cider vinegar as a final rinse. I am glad that you found the information useful.Yes, these essential oils work beautifully with any conditioner – home-made or premade – it gives that extra ‘uumph’ which your hair will thank you for! And I love using Apple Cider vinegar as well for a final rinse. It helps to balance the pH on your scalp and hair. Hello Michelle, what do highly sensitve people do with the scents of the essential oils? I have not been able to use them with success because of that problem. I do like how you recommend Apple cider vinegar for a rinse. That is one amazing product that can be used for just about anything, isn’t it? Yes, people with heightened sensitivity can be challenged using essential oils. My suggestion would be to increase the ratio of the base oil being used to mix with the essential oil. That might help somewhat. As long as you don’t fully dilute it too much and interfere with the true potency of the essential oil. And yes, I love Apple Cider Vinegar and its versatility too! I never thought about using lavendar oil with avocado oil for a hair conditioning product! I am going to try it today! Thank you for the inspiration! Yes, using essential oils along with your conditioner – whether home-made or pre-made – can make a world of difference for your hair. Be sure and let me know how it turns out for your hair. It seems lately, essential oils have become hugely popular. I love lavender oil, the smell is so wonderful. Thanks for letting me know that it encourages blood circulation. I had no idea you could use it on your hair. I have been learning about essential oils recently and the many benefits. I am amazed at all the great benefits. 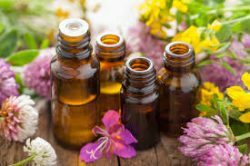 Yes, essential oils are ‘finally finding their rhythm’ – though they have been around for years! I love them and the wonders that Mother Nature has ‘drummed up’ in a bottle. Yes, the benefits are mind-blowing. I am happy that this article provided useful information. I love essential oils for nearly everything!!! My favorite thing is learning new uses for them. It is crazy what mother nature provides us with. I have used Tea Tree or Melaleuca oil on my hair and face for years to help with my natural oil balances. Thanks for stopping by. Yeah for essential oils. I love them too for their usefulness. I am happy to know that there is another ‘nature lover’ out there. 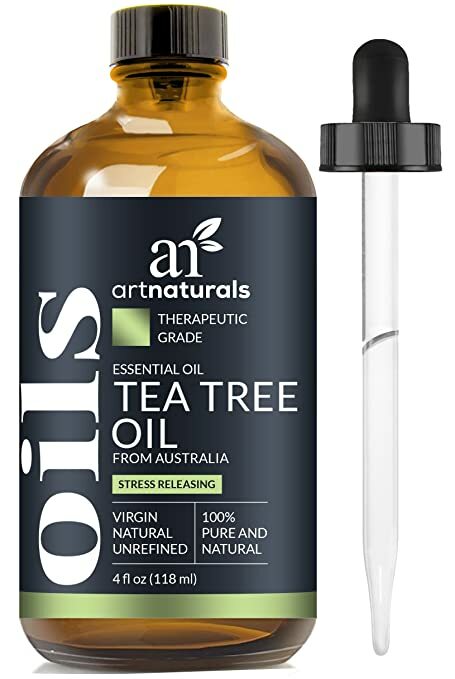 Yes, I love Tea Tree oil too, I even use it for insect bites and as a mosquito repellant. All the best. Using essential oils (carefully) is so good for your hair, skin and your senses too. When my hair was quite long, I stopped using shampoos and conditioners loaded with so many chemicals. I started by simply washing my hair with a mix of baking soda and water and then following up with a rinse of apple cider vinegar (natural, unfiltered, with the ‘mother’) and a few drops of lavender and rosemary EOs to cut the smell of the ACV. I am amazed at all the great benefits of essential oils. Very helpful article, Michelle. Thanks for stopping by. Yes indeed! Essential oils are ‘powerful’performers. 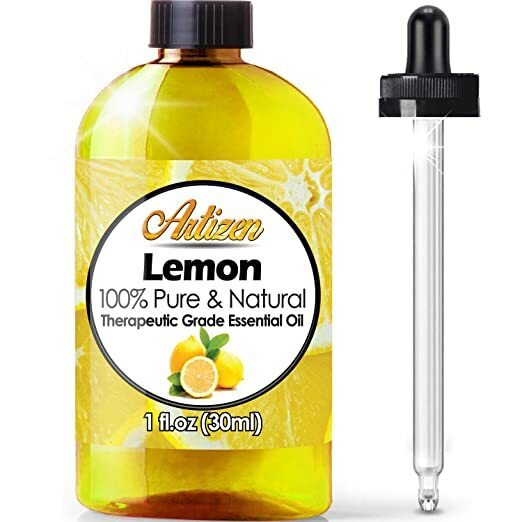 I also did a regimen of just doing an essential oil treatment on my hair and scalp, let it remain on my hair overnight and then rinse with ACV – and man, you could just see the healthy shine all over! I love essential oils. And I love ACV too – with the Mother! I guess I shouldn’t be surprised… there seems to be an endless list of benefits of using essential oils, but I never really thought about using them to stimulate hair growth. I had a question that formed even before I finished reading, but you answered it: Yes, I can combine different essential oils! There will come a time in the not-too-distant future when I actually decide to let my hair grow. When that day appears, I know I can come to your site, Michelle, to be steered in the right direction. Thanks for stopping by. Thank you for your kind words, I appreciate the trust in the information that I have provided. Yes, essential oils are wonderful and I love using them – for hair growth and basic health care – they re the best! You re welcome to visit anytime. I do my best to provide updated and current information on the website. I love essential oils and herbs. They serve so many great purposes. I like your thorough explanations of the benefits of each. I have combined issues. I have a dry hair problem especially this time of year. I also have issues with hair loss due to an autoimmune disease. I saw some combination suggestions. Do you think you can mix even more combos for multiple issues? I also like to use aloe in my conditioner. 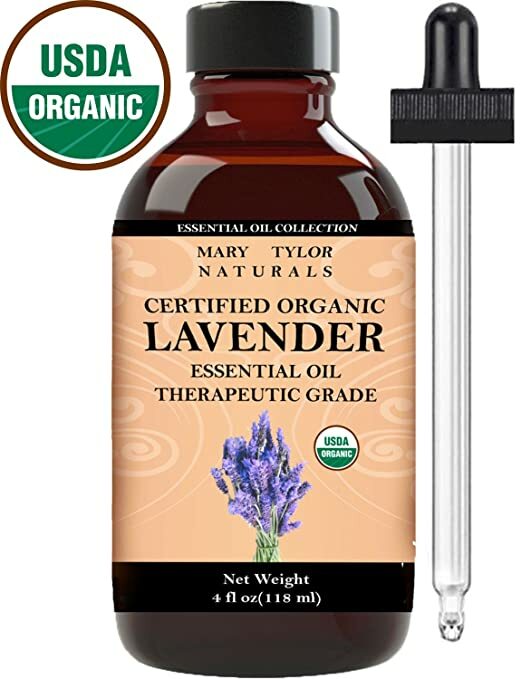 Could the essential oils with the carrier be added directly to my conditioner with the aloe? Thanks for your visit. I am glad that you found value in the article. I love the healing properties of essential oils. Yes, you can combine the oils, sometimes it is the best way to create that synergistic effect. Also, you can add them directly to your conditioner or even shampoo to get that extra boost. All the best. I have heard more and more uses for essential oils, but I have not heard of this one. I noticed there are a lot that help with growth and even gray hair. Are there any that help with frizzy hair? I would rather use something that is natural that something full of chemicals. Thanks for your visit. Yes, it has taken a while, however, the Western world is catching up with the Eastern world and their ‘holistic/alternative’ ways of living and combining Mother Nature as a part of their lives. Hmmm, ‘frizzy hair’…well, I think what creates ‘frizz’ is more often than not – lack of moisture. If you have time and pass this way again, you can check out this article on moisture and also this one on deep conditioning. Both will help you to control hair frizz. All the best. Hi Michelle, I have not thought of using essential oils for my hair. This is great info! Although I do purchase shampoo that has tea tree oil in it, as in the past I tried to add it and my shampoo would smell awful. Definitely would prefer peppermint or lemon. Thanks for sharing! Thanks for your visit and your thoughts. Yes, some essential oils can be rather ‘strong’ for the nostrils, but this should not discount their usefulness in any way. Just be mindful of the amount that you use. Sometimes a rule of thumb – less is more – isn’t too bad in the way of advice. I will definitely use a combination of these for my hair, though I feel like I’d like to use all of them at once…but it will most likely smell terrible! haha! Will bookmark this for future reference, thanks! Your comments made me smile…yes, whoa on the combination of ALL the oils…it might not go too well. In any event, I am glad you found some value in the information presented. All the best.